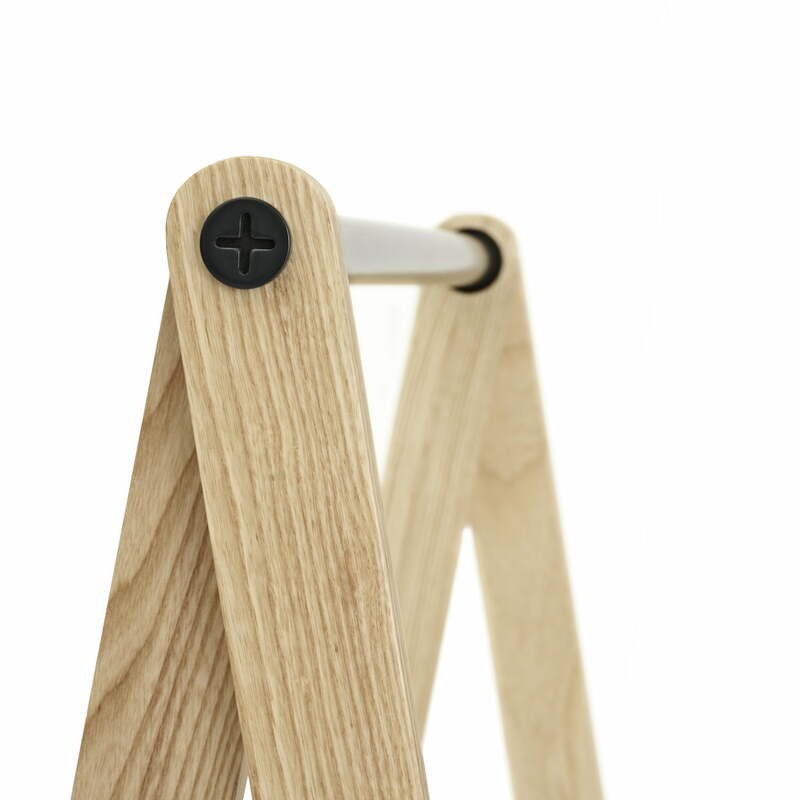 The designer Simon Legald designed a coat rack for Normann Copenhagen. 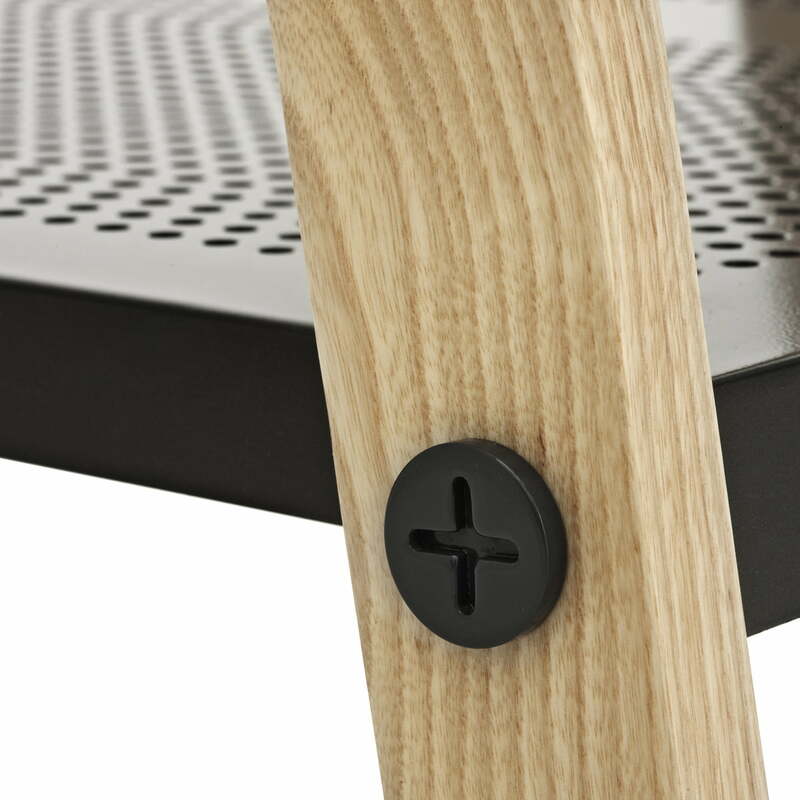 Its clear shape is influenced by industrial design. 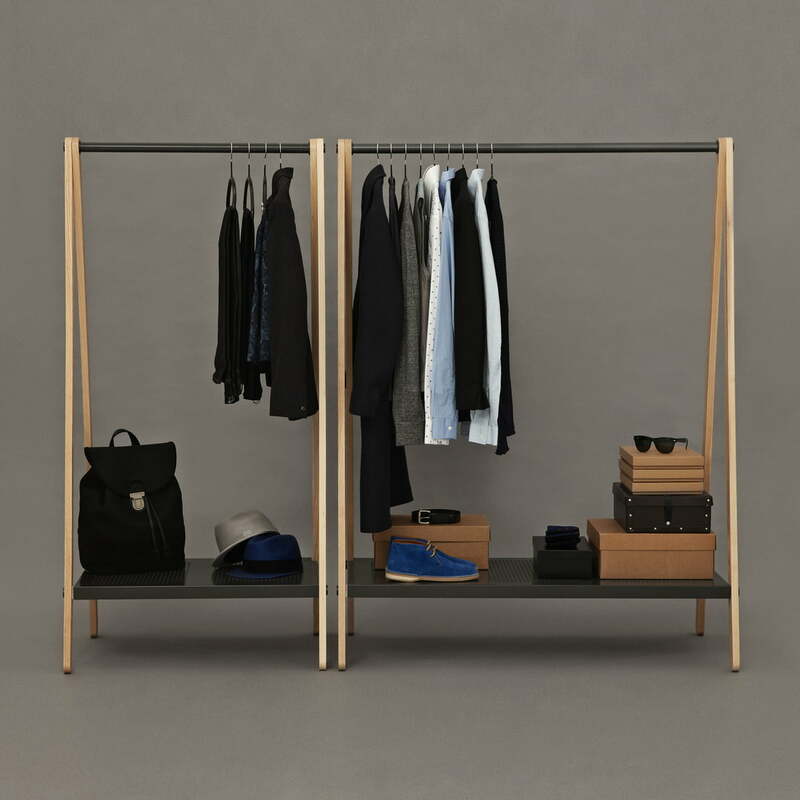 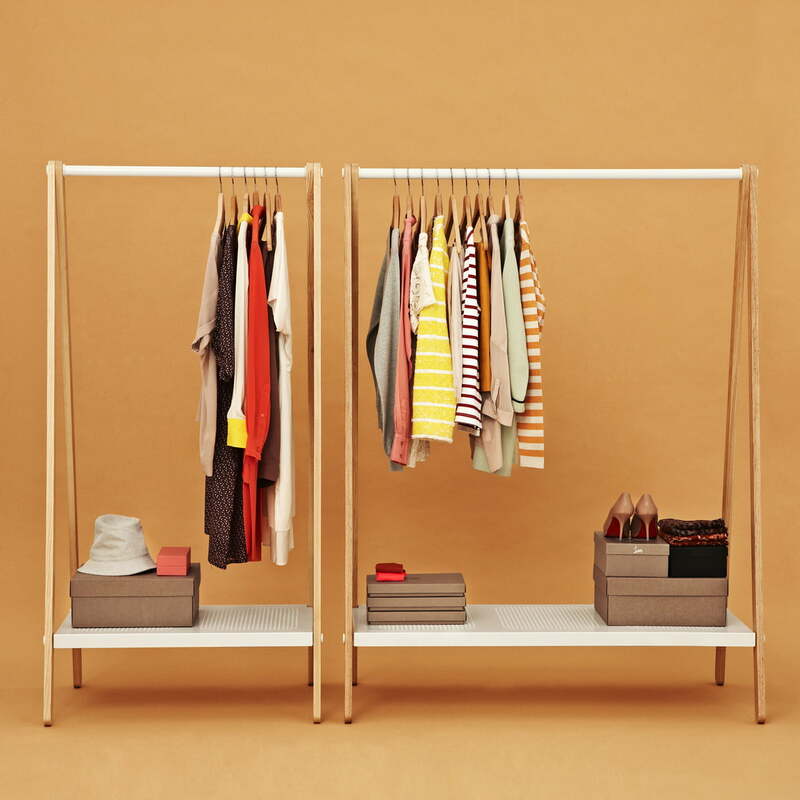 The functionality is emphasized and the simple construction of frame and board offers a lot of space for clothes, shoes and bags. 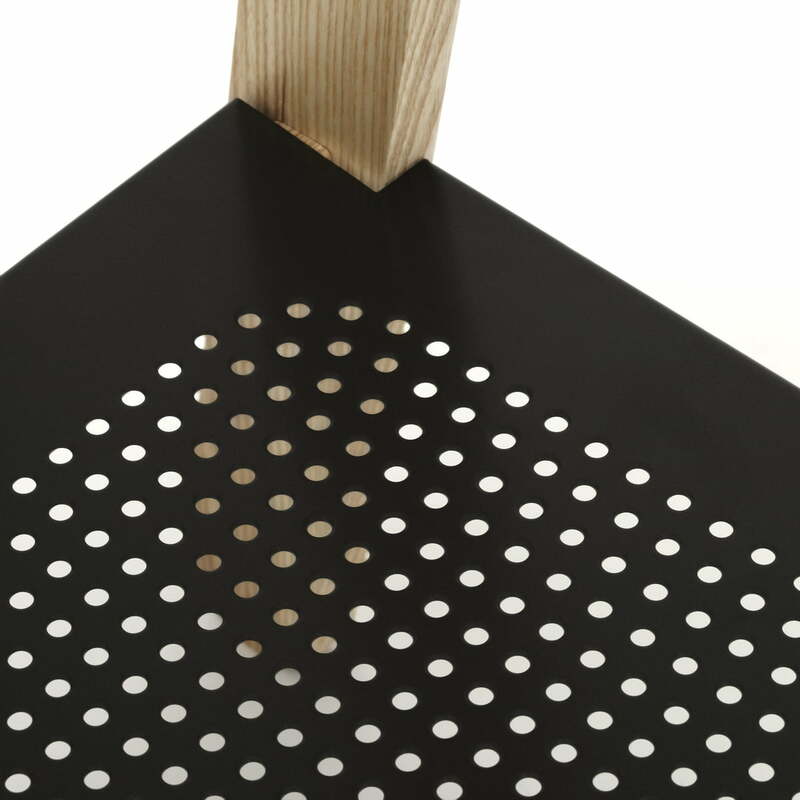 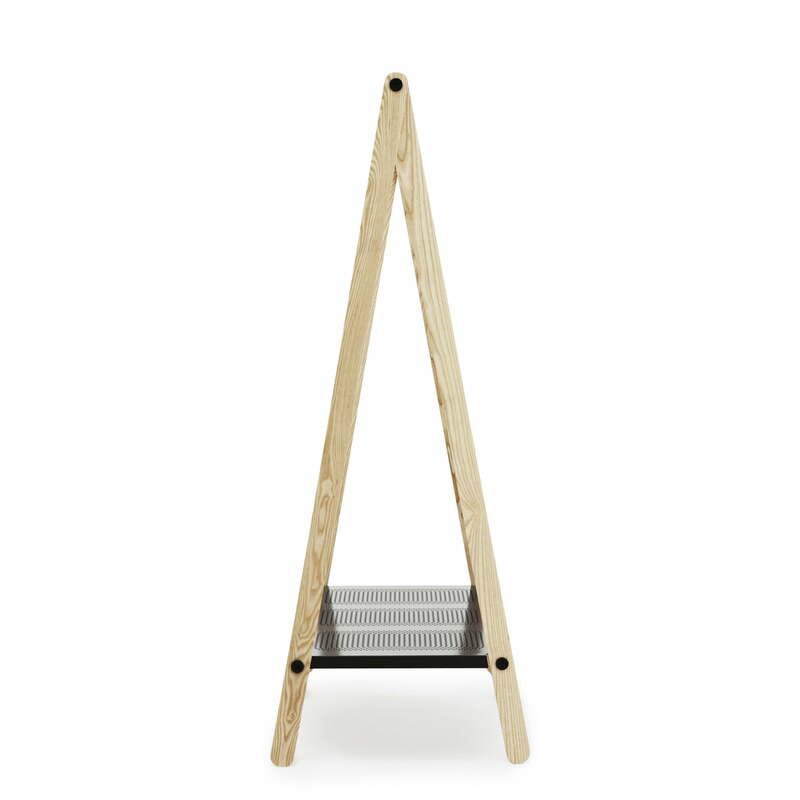 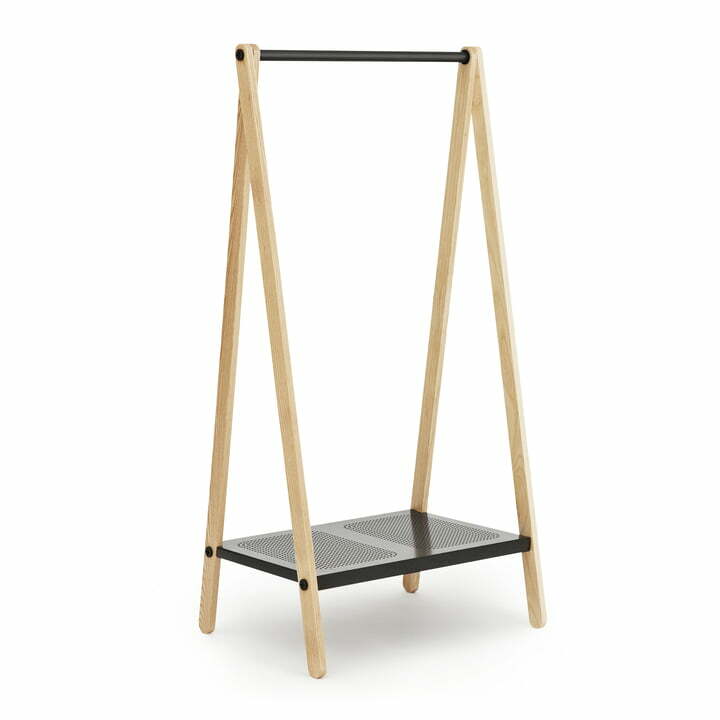 Toj can be delivered in two sizes with shelf-boards in white or gray.